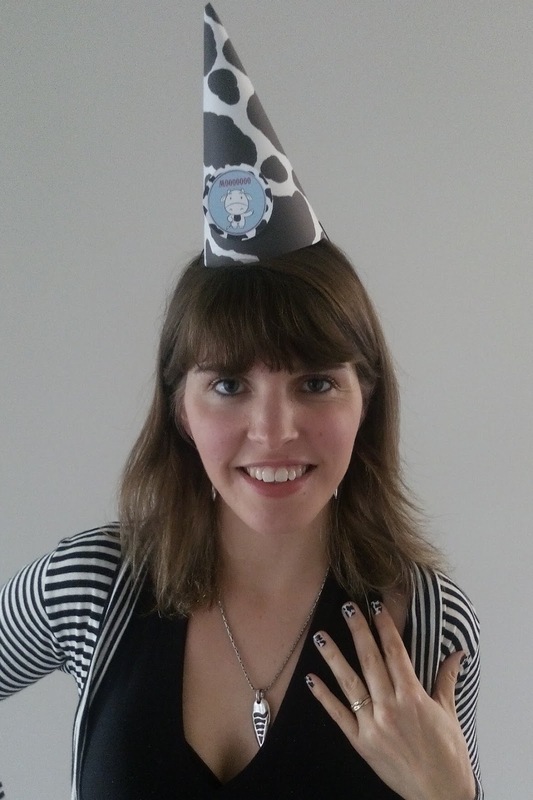 Jamberry Nails were recently introduced to Australia and New Zealand, and to say I was excited would be an understatement. I have been using these for a couple of years thanks to a friend in America, so I couldn't wait to see them distributed locally. If you haven't heard of Jamberry nails, they are nail wraps are made with durable materials, so smudges and streaks are never an issue, and can last for up to two weeks on fingernails and four weeks on toes. With over 300 nail wraps in an incredible variety of designs, you can customize, pair, and layer Jamberry nail wraps to create a look that’s all your own—all from the comfort of your home. This is a great thing for me as a SAHM- with a limited budget and even more limited time to visit a nail salon, getting pretty fingers at home sounds wonderful. I must admit, it did take me a few tries to get comfortable with applying these nails. 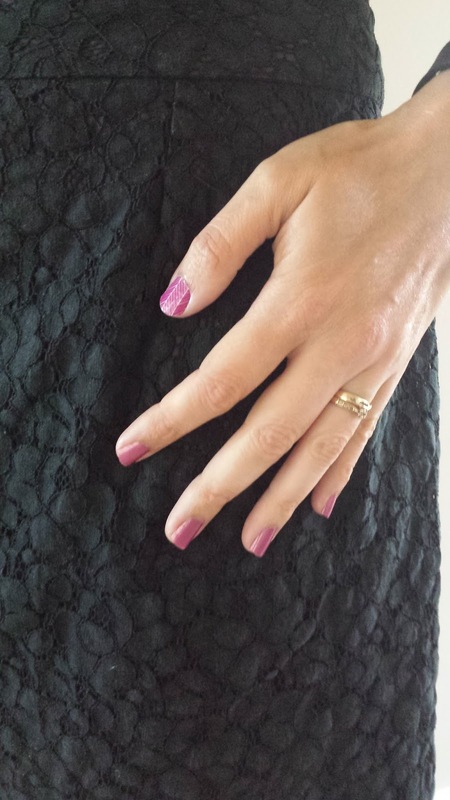 I have quite slim nails, and I discovered that I need to order the Junior size or trim the adult ones down the side in order to get a great fit. 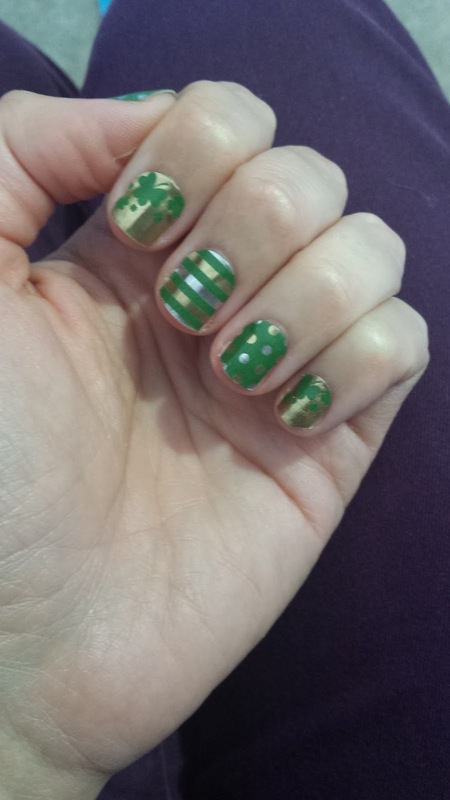 plus celebrate holidays such as St Patricks Day with my nails! These nails are very hardworking- I would chip my polish after one load of dishes but as you can see, these stayed put through multiple loads. 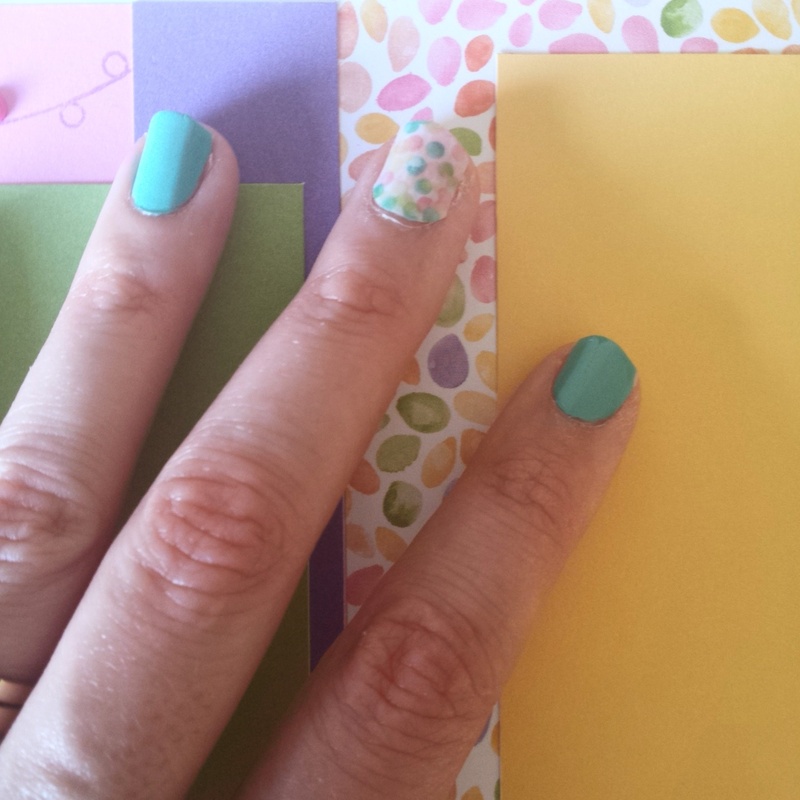 Once you have the hang of the nail wraps, you should have them last two weeks on your nails. I have had some last longer, which has been great, and best of all I am not constantly re-applying polish. There are Style Exclusive wraps each month (I am wearing the March style below) and a variety of finishes such as clear, glitter, matte and shine. As you can see, I have gotten better at application as time has gone on and I have practiced with a technique that works for me. You can also use them as accent nails in conjunction with polish- here I have a wrap on my thumbnail then matching polish on the others. 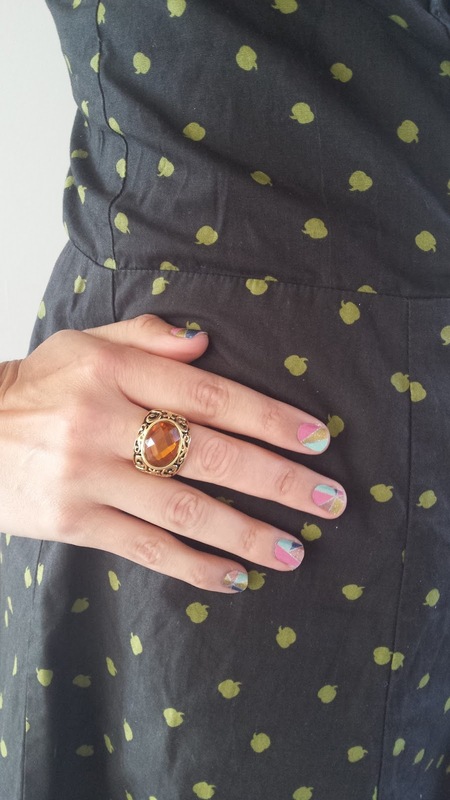 Jamberry has a range of nail lacquers that pair perfectly with their designs. 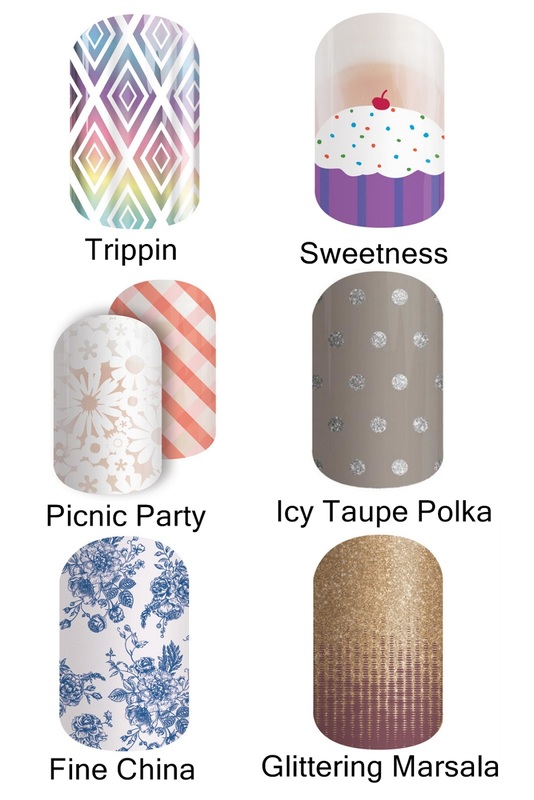 Here are some of the nails that are on my wishlist currently- I would love your help in deciding which one to get next! If you would like to try Jamberry nails for yourself, you can find a consultant or get in touch with my local consultant. Looks fantastic. I rather like the look of glittering masala. Ohh, I love the Sweetness nails! I have a few that I need to finish using up, but I haven't ordered any new ones in awhile. They are nice for trips, too! You don't have to worry about chips or bringing polish along!